​Outer Reaches consists of a bronze bell hanging statically from the ceiling in the centre of the room, with the surrounding walls bearing traces of the bell’s previous movement. The echo of the impacts which have damaged the gallery walls can still be heard through a 4-channel speaker system surrounding the space. 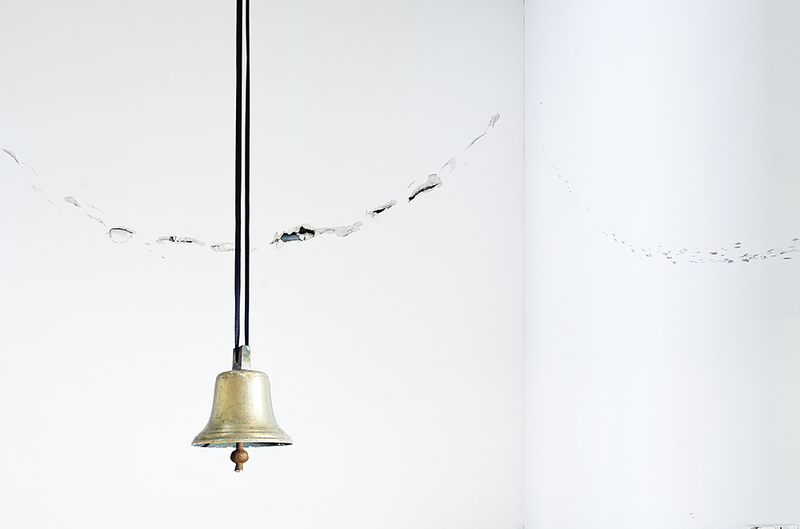 As the bronze bell contains a metal clapper, the room contains the suspended bell, nesting functions between object and architecture and tracing their relative positions.